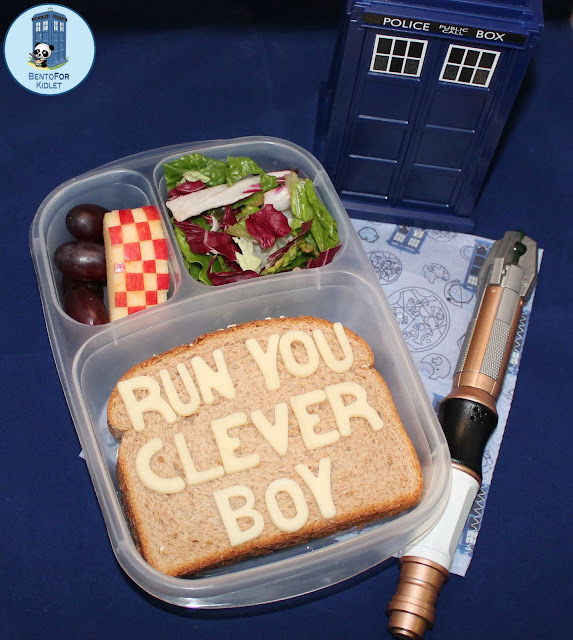 Bento for Kidlet: Doctor Who Fish Fingers and Custard Day! Today has somehow been declared Fish Fingers and Custard day. If you're familiar with Doctor Who you will understand why! If not, well, why aren't you?! ;) Mostly it's just a reason for my Edible Geekery group to be nerdtastic together so we're hosting a linky in celebration! Check out more awesome Doctor Who lunches at the bottom! Ooooh! 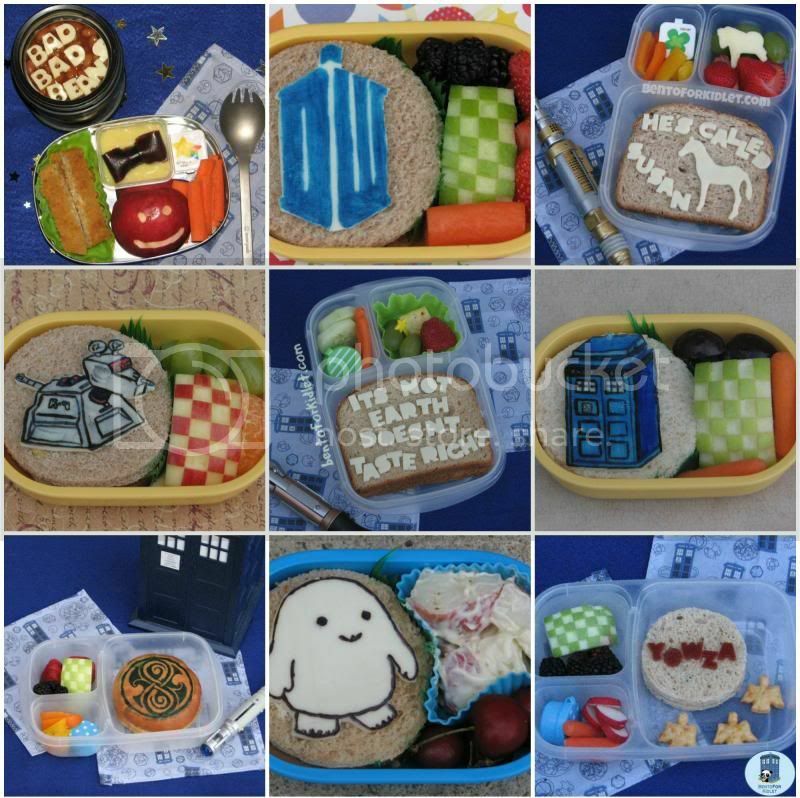 I need to make an adipose lunch for my girl! We just watched that episode and she was in love with them!